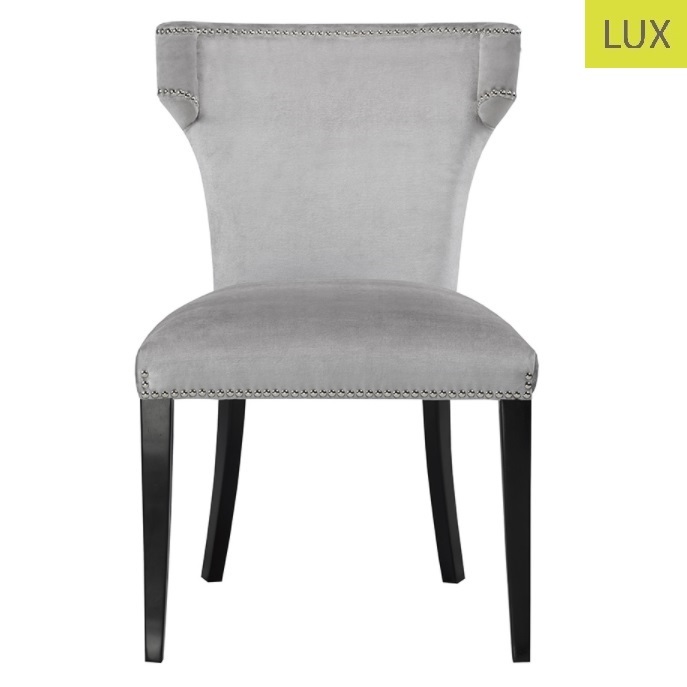 A luxurious soft grey velvet dining chair with a high winged back. Great chair for a substantial dining room that needs some softness. 22" x 24.5" x 36"